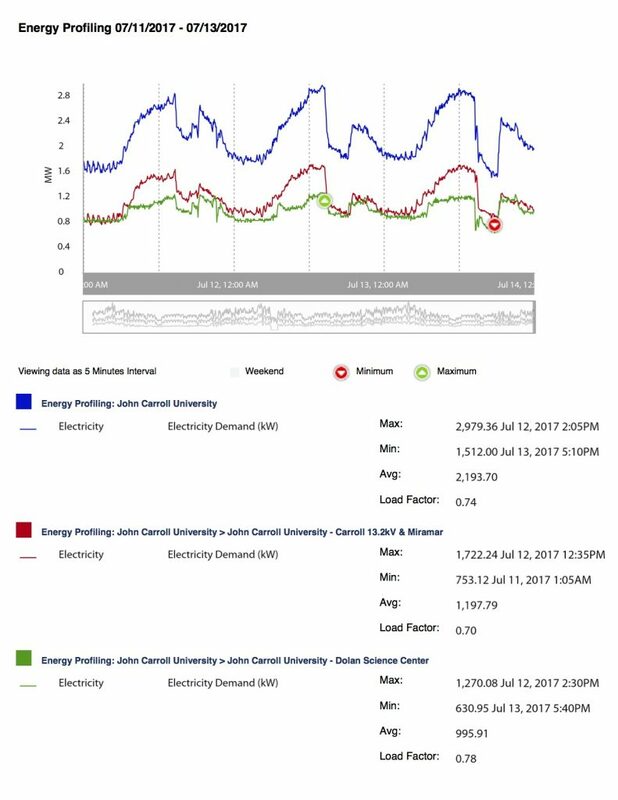 Reduce common area lighting to emergency lighting levels in Dolan Science Center and Library where safety is not compromised. Library lights can be controlled by the staff as needed. Set air conditioning temperature to 76 degrees except for rooms/areas that must be maintained cooler. Can be done on Building Automation System in Dolan Science Center, the Boler School of Business, O’Malley, Administration Building, the Administration Annex, Grasselli Library, Millor, Sutowski, and Murphy Hall. Utilize manual controls in other areas, and for window air conditioners. Turn off air conditioning in unoccupied residence halls. In residence halls with only a few occupants, provide portable air conditions as needed and do not air condition the whole building. Evaluate food service operation for opportunities to shut down coolers, refrigerators, and freezers; and opportunities to minimize areas used, lighting, ventilation, and exhaust hood operation. 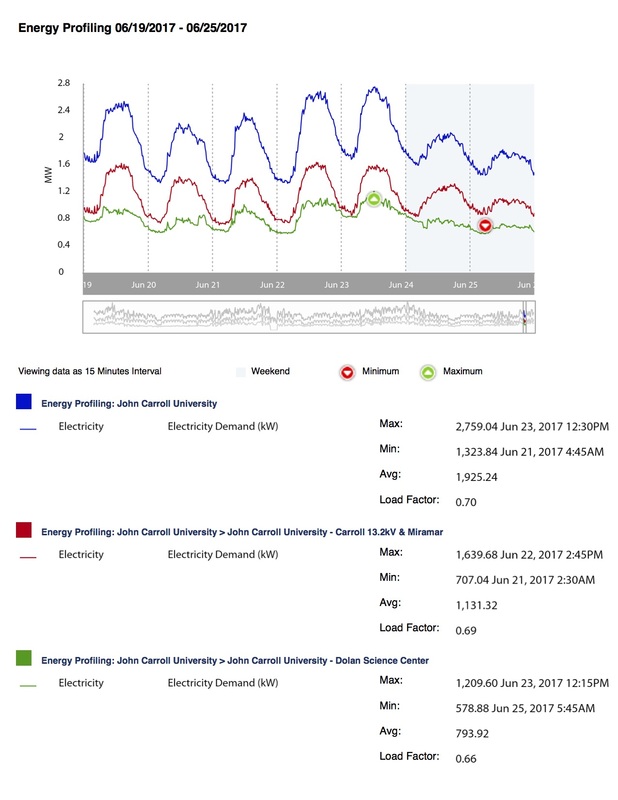 The below graphs are examples of typical summer weekly usage, and energy reductions during peak capacity events.